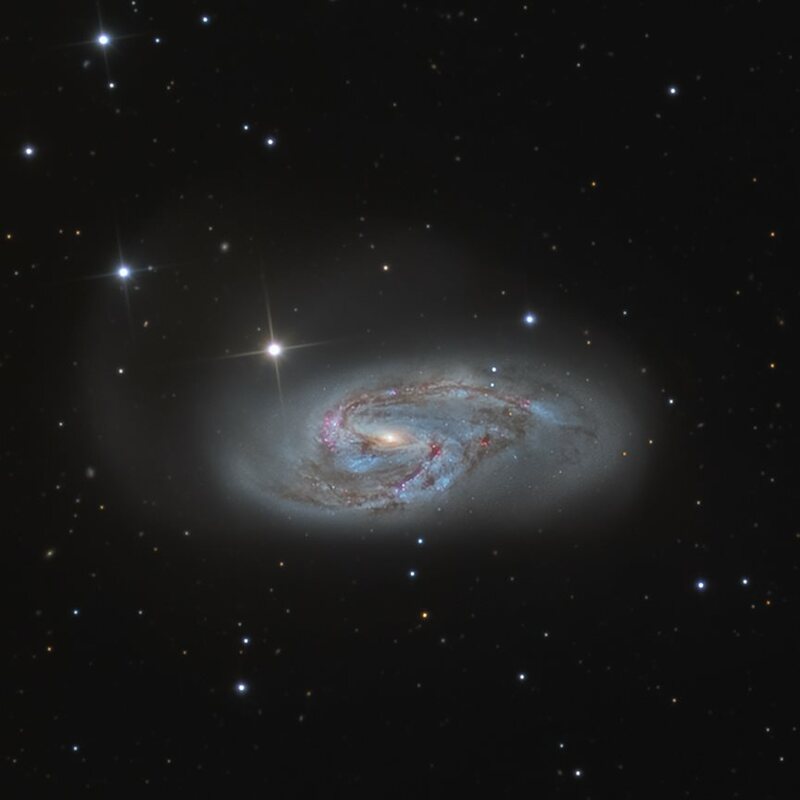 This is an image of M66, also known as NGC3627. It is an intermediate spiral galaxy about 35 million light years away in the constellation Leo. It is a member of the Leo Triplet, which also includes M65 and NGC3628.